When you hear the word ‘Japan’, what do you think of? Does your mind fill with images of ancient temples or futuristic cities? Do you see visions of mist-shrouded hills or lightning-fast bullet trains? Do you think of suit-clad businessmen or kimono-clad geisha? Whatever image you have of Japan, it’s probably accurate, because it’s all there. But you may also have some misconceptions about Japan. For example, many people believe that Japan is one of the world’s most expensive countries. In fact, it’s cheaper to travel in Japan than in much of North America, Western Europe and parts of Oceania. Others think that Japan is impenetrable or even downright difficult. The fact is, Japan is one of the easiest countries in which to travel. It is, simply put, a place that will remind you why you started traveling in the first place. If traditional culture is your thing, you can spend weeks in cities such as Kyoto and Nara, gorging yourself on temples, shrines, kabuki, ō (stylized dance-drama), tea ceremonies and museums packed with treasures from Japan’s rich artistic heritage. If modern culture and technology is your thing, Japan’s cities are an absolute wonderland – an easy peek into the future of the human race, complete with trend-setting cafés and fabulous restaurants. Outside the cities, you’ll find natural wonders the length and breadth of the archipelago. From the coral reefs of Okinawa to the ski-resort of Niseko, Japan has more than enough natural wonders to compete with its cultural treasures. Then there’s the food: whether it’s impossibly fresh sushi in Tokyo, perfectly battered tempura in Kyoto, or a hearty bowl of rāmen if you like eating you’re going to love Japan. Kyoto is a city in Honshu Island, Japan. Initially,the administrative capital of Japan, it is now the capital of the Osaka-Kobe-Kyoto metropolitan area. With an estimated population of about 1.5 million inhabitants, Kyoto has a host ofBuddhist temples, palaces, gardens and museums, many of which are World Heritage Sites. Located on the Hokkaido island of Japan, this ski resort destination of Niseko is situated on Mt Niseko Annupuri. The nearest airport to this destination is the New Chitose Airport while there is also present the opportunity of taking the rail road and getting down at Kutchan which is the nearest railway station from Niseko. At Niseko no one is bound to go back disappointed. There are several choices of slopes for every kind of skier who wishes to tame the sking slopes at this ski resort destination of Niseko. With smooth running slopes as well as many off piste slopes there is surely no dearth of options to keep you busy here on the slopes. Honshu island is separated into several regions; these are Tohuku, of which Sendai is the main city, Kanto, home to Tokyo and Yokohama. Chubu region is home to Mt Fuji, Nagoya and Kanazawa. Kinki region contains Kyoto, Osaka and Kobe and the final Honshu region is Chugoku, which is home to Okayama and Hiroshima. Also on the island of Honshu is Mt Fuji, who´s beauty has to be seen to be believed. Its fairly difficult to get to the mountain itself but the views from there are superb. 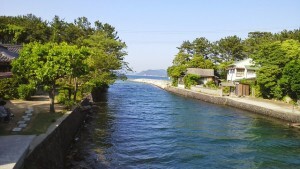 The surrounding area is also stunningly beautiful as it is a very undeveloped region of Japan. If you have to walk to the top I would recommend a sturdy but comfortable pair of shoes or boots and lots of layers of clothing which you can add one by one on the way up as it is cold at the top. Even in summer there is snow on top as its 3,776 meters high, Japan’s highest point. Also take one of the guided tours as well as its a mountain and easy to get lost. The central Japanese city of Nara, known for its historic temples and roaming deer, is located 42km (26 miles) south of Kyoto. In ancient Japan, the capital was moved to a new site each time a new emperor came to the throne. In 710 AD, the first “permanent” Japanese capital was set up at Nara. But after only 74 years, the capital was moved to Nagaoka and then to Kyoto, where it remained for more than 1,000 years. Tokyo is one of the premier as well as breathtaking tourist destinations in Asia. A part of the Kanto Plain, Tokyo is the capital of Japan, located in the island of Honshu, in eastern part of the country. Formerly a fishing village known as Edo, Tokyo has now become one of the prominent global cities in the world. According to the Japanese Law, Tokyo is a metropolis, with a plethora of cities, towns, and villages. Its administrative area has been categorized into three areas: Central Tokyo comprising 23 special wards, the Trama region consisting of majestic hills and mountains, and the southern islands of the Pacific. Further, Tokyo is now regarded as an Alpha City, along with worldâ€™s other top cities such as London, Paris, and New York. Discussed further in this article are some of the top attractions in Tokyo. Sapporo in southern Hokkaido is the capital city of Hokkaido and has over 1.7 million population. The annual Sapporo Snow Festival is held in February and attracts millions of visitors every year. If you aren’t interested in snow, summer is the best time to visit Hokkaido when other parts of Japan are hot and humid. It’s cooler and more comfortable in Sapporo and other parts of Hokkaido. it’s not hard to walk around the city since most of the sightseeing spots are within walking distance of Sapporo Station. Sapporo offers many delicious food as well. Sapporo specialty foods are Sapporo ramen noodles, Jingisukan (grilled mutton), soup curry dishes, and lots more. Visit this beautiful city in northern Japan. Shopping in Tokyo is a fun thing to do. 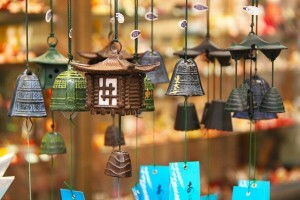 You can easily find Japanese traditional items and the latest goods in Tokyo. The cost of living in Tokyo can be expensive, but there are many places you can shop inexpensively. Stop by a 100yen shop near you. Daiso is a popular 100 shop chain. Shopping hours in Japan is usually from 10 or 11 AM to 7 or 8 PM. Most stores are open weekends and holidays except some specialty stores. In Japan, you need to pay 5% consumption tax in addition to the price. Japanese department stores are fun places to shop. They carry many kinds of traditional Japanese goods as well as the latest fashions. Check out the store sales, which are usually held in July, August, December, and January. Duty-free shopping is only available in Japan’s international airports but tax-free shopping is possible in urban centers at authorized tax-free stores. In these stores, purchases of over ¥10,000 on selected items are exempt from Japan’s 5% Consumption Tax but it is worth comparing prices at discount stores and bargain markets before you buy. The combination of Japan’s mountainous territory and the length of the archipelago (covering about 20° of latitude) makes for a complex climate. Most of the country is located in the northern temperate zone, which yields four distinct seasons. In addition, there are significant climatic differences between Hokkaidō in the north, which has short summers and lengthy winters with heavy snowfalls, and the southern islands, such as Okinawa in Nansei-shotō (Southwest Archipelago), which enjoy a subtropical climate. In the winter months (December to February), cold, dry air-masses from Siberia move down over Japan, where they meet warmer, moister air-masses from the Pacific. The resulting precipitation causes huge snowfalls on the side of the country that faces the Sea of Japan. The Pacific Ocean side of Japan receives less snow but can still be quite cold, while the big cities of Honshū like Tokyo, Osaka, Nagoya and Kyoto have winters with highs in the single digits or even low teens and lows a few degrees above zero (Celsius). The odd January or February day will be colder, but these cold snaps usually don’t last. The summer months (June to August) are dominated by warm, moist air currents from the Pacific, and produce high temperatures and humidity throughout most of Japan (with the blissful exception of Hokkaidō). In the early part of summer, usually mid-May to June, there is a rainy season lasting a few weeks that starts in the south and gradually works its way northward. Although it can be inconvenient, this rainy season is not usually a significant barrier to travel. August, September and October is typhoon season, which can make travel in Okinawa, the Izu-shotō and Ogasawara-shotōdifficult. The currency in Japan is the yen (¥) and banknotes and coins are easily identifiable. There are ¥1, ¥5, ¥10, ¥50, ¥100 and ¥500 coins; and ¥1000, ¥2000, ¥5000 and ¥10, 000 banknotes (the ¥2000 notes are very rarely seen). The ¥1 coin is an aluminium lightweight coin, the ¥5 and ¥50 coins have a punched hole in the middle (the former is colored bronze and the latter silver). Note that some vending machines do not accept older ¥500 coins (a South Korean coin of much less value was often used in its place to rip off vending machines). Any foreign visitor to Japan, not born in Japan, will require a current passport. The name on your airline ticket must be the same as the name on your passport. If the names do not match you will be denied boarding until the aircraft, probably lose your chance to travel to Japan and may incur severe penalties. Your Passport must have more than 6 months available, in time, before the expiration date before leaving for Japan. Depending on which country you are born, you might have to obtain a Visa. Please check with The Ministry of Foreign Affairs of Japan (MOFA) or a Japanese embassy or consulate considerable time before your scheduled arrival in Japan. There’s a departure tax of 2040 Yen(1020 Yen under 12 years old) at Narita airport that is included in the airfare. The electrical current in Japan is 100V AC. Two different cycles are used. Tokyo and eastern Japan are on 50 Hz whilst western Japan, including Osaka Nagoya and Kyoto, is on 60Hz. Flat two pin plugs (identical to those in North America) are used in Japan. Most major hotels provide outlets for both 110V and 220V appliances such as shavers, hairdryers and travel irons.